We are back with Makers Month for September and what a month of treats we have in store for you. We are going to be chatting to some business folk and some makers who will of course impart their wisdom over to you guys. Cos we all need some wisdom sometimes right?!?! Here's me looking for the adult in the room! Tell us a little about Women Who Create. 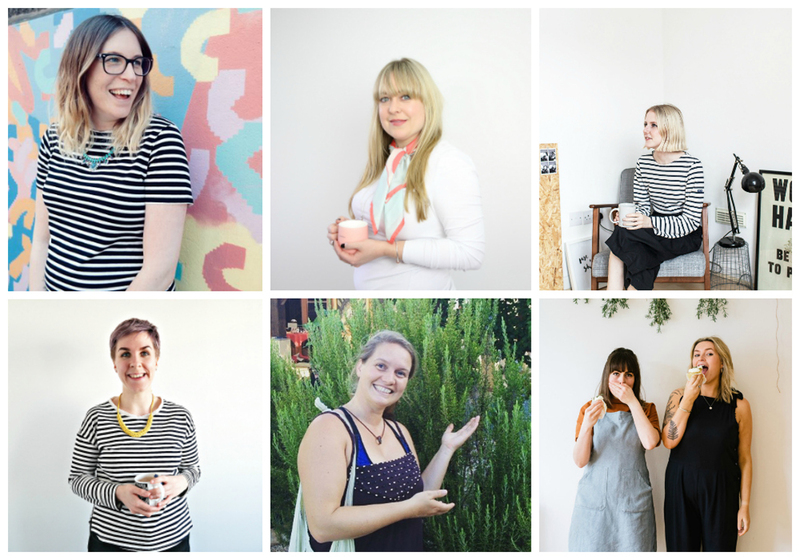 Women Who Create UK is an active community for women in creative business/women who use creativity in their non-creative businesses to grow, share knowledge /advice/expertise/experience and support one another through events, services, skills, meet ups, tools and more. Why did you start WWC? To fill a gap in my creative business life! I realised that I had outgrown my previous craft business but wanted to evolve the parts of that I still loved from the previous 4 years that felt like the true me. It really all began when I was at a low ebb after moving from Brighton, where my creative career had begun, to Nottingham. When I had time to really evaluate where I saw myself then and what I wanted in the future. I decided I wanted to leave behind the fast craft parts of my biz but was super passionate about the amazing community of makers and creative business owners I had cultivated. I loved the events and creativity but was worn out by craft commissions, hen parties and what I felt was an oversaturation of the market. So I created a new series on the blog to quench that new creative thirst whilst I decided what to do next! This was ‘women who create things – the interview series’ I started by reaching out to peers and friends who were makers to test the water, and then took the leap to contact women who I admired greatly in other creative circles. As I created more connections and evolved the blog series I began to imagine the idea into a business! Events, meets ups, an online community and groups… it felt exciting and like me again! What are your aims for the business? To grow purposefully whilst also keeping small and special! To create an online space where a community of women in creative business/women who use creativity in their non-creative businesses can grow, share and support one another through events, services, meet ups, tools and more. Eventually I’d love a studio again., where I can work and run WWC, but also offer affordable work space for women starting their creative businesses or looking to evolve into a creative career to nurture their ideas/projects. Do you think women can benefit from each other more? Hugely! In fact I think it’s the way forward. There are so many masculine/male led projects/resources and services around but they often just don’t fit the way many women work. They are not intuitive or authentic enough. There is a gorgeous and inspiring energy that arises when a group of women work together or help and support each other’s ideas, vulnerability and creativity. For me its less about the Girl Boss trend, because I find that a little harsh and a somewhat masculine a genre. Well this is really my biggest passion project right now. 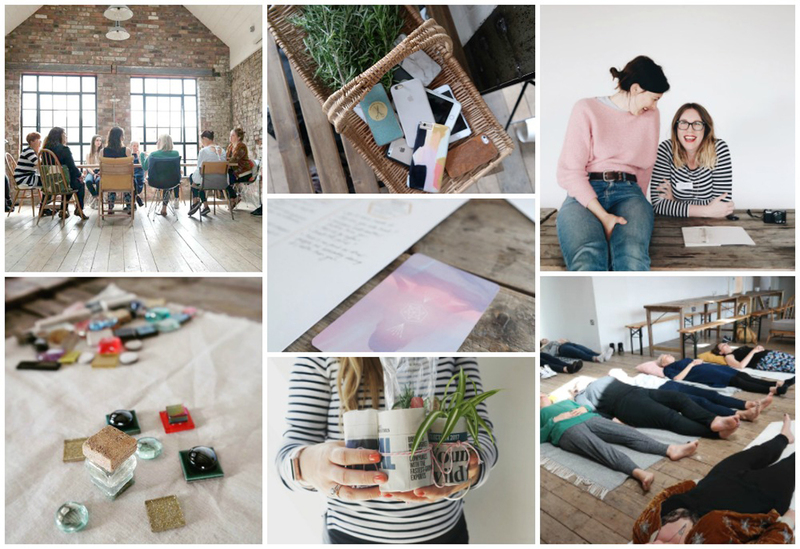 WWCweekend events offer a weekend of creative inspiration, relaxation, confidence building, slow crafting and business/career motivation for women looking to connect with likeminded folk and spark changes in their life and career. 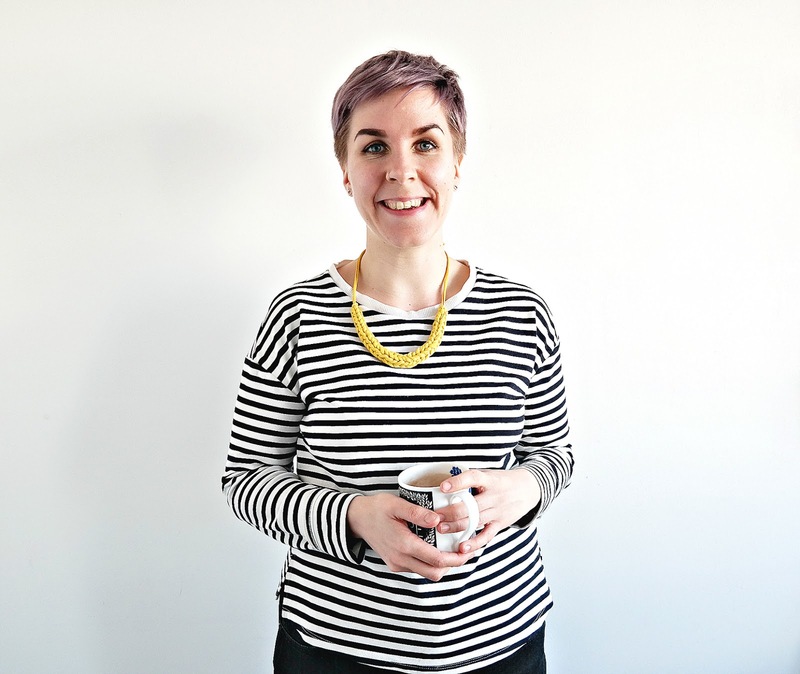 Bringing together individual business expertise of 6 self-made creative entrepreneurs our events are about sharing creative business skills and tools that are slightly different to your usual run of the mill training. Our first weekend in Bristol was by all accounts an amazing experience and I feel so lucky to have been able to bring my dream to life! The women who attended brought their own special magic to the sessions which only made them more special and valuable. What you can expect from a WWCweekend is that you will leave the weekend with a wealth of practical and creative skill to empower your next steps and future planning. A vibrant mix of personal experience, accredited technique and intuitive learning. You will have also spent a weekend becoming part of a fantastic community, meeting a group of equally amazing women who are on the same path as you. Our Brighton event coming up at the end of October is no exception. This time we are welcoming additional coach Lola Hoad, founder of One Girl Band and Alice Bettany, herbalist and founder of Sacred Seeds. That’s 3 inspiring sessions on each day with plenty of time in-between for alone time, personal journaling, tea drinking and discussion. I have big plans for WWC and have already started creating a new website which will incorporate the blog, a membership and a special affiliate scheme… I can’t tell you any more just yet but I am so very excited and energised by the possibilities and plans I have for this little business! We have also launched a podcast which has been somewhat challenging to make technically but has also opened up a whole new exciting audience to reach and engage with. If your idea excites you, makes your mind race and scares you at the same time… its probably exactly the path you should follow. But expect a lot of hard work and for some things to fail. You will learn and grow from your mistakes. Embrace the help of your peers but always be true to your own ideas and voice. Be you, that’s your own authentic super power. What are the first things people should do before starting their own business? Be realistic and honest to themselves about the resources (time money and skills) that they already have. There is no point aiming way to high and causing yourself unnecessary stress and damage. Start small and plant the seeds of your business. Get all the facts and figures down and grow your audience. Work to your strengths! They should both be authentic to you because that’s what sets you apart from the millions of other women on the planet. Try not to follow trends. Get your ideas down on a huge piece of paper and map it all out! Play to your strengths. If it doesn’t inspire you or feel fun when you are working on it then its probably time to let go. Or perhaps you just need a break and to find a new evolution of your idea! We are constantly growing and changing so why would our ideas stay the same? No successful business stays the same! My business is intertwined with my lifestyle and my beliefs so for me its just something I do every day and I am excited and often nervous to grow! But nevertheless, it has grown as I have. Amy has some great advice and we cannot wait to go to the weekend in Brighton soon. Lots of lovely new ideas for us and that means lots of new things for you guys, what's not to love!